Middle School acting classes led by Performing and Musical Arts Teacher David Gomes have been busy prepping for upcoming performances as well as working with Lower School classes on their storytelling project. Upper School Counselor Erin Romano and Learning Resource Coordinator Meghan Powers recently launched a new program geared toward introducing the concept of self-care to students with Wellness Wednesdays. Second Graders Learn about the Life and Legacy of MLK Jr.
Last week, all three second-grade classes enjoyed learning about Martin Luther King Jr. as a lead-up to the day he is nationally celebrated on January 21. You are cordially invited to this year's State of the School address offered by Head of School Mo Copeland. 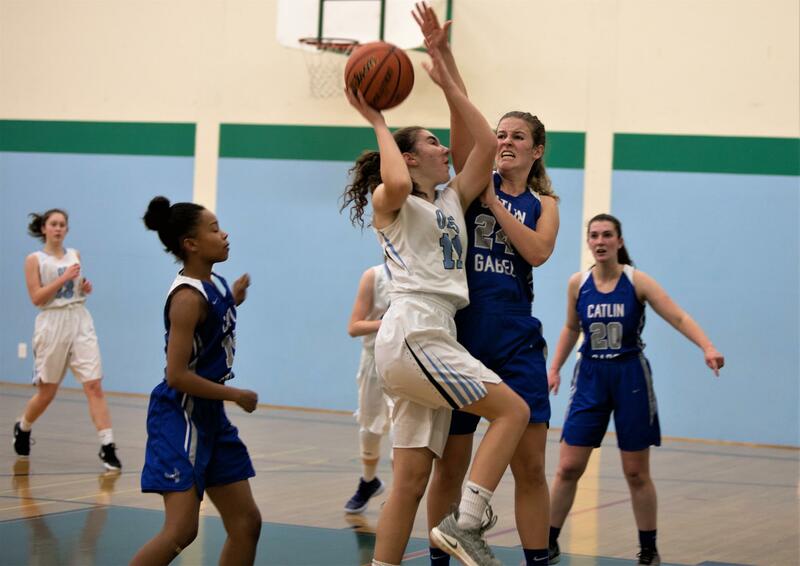 Last Thursday, the Varsity Boys' and Girls' Basketball teams took on Catlin Gabel for at-home games. It was also MS Hoops Night, where Middle Schoolers were encouraged to attend both games and enjoyed pizza served at the half-time of the Boys' game, along with MS basketball shooting contests! OES eighth graders interested in playing OES basketball next year were also invited to attend half-time meetings with the teams.